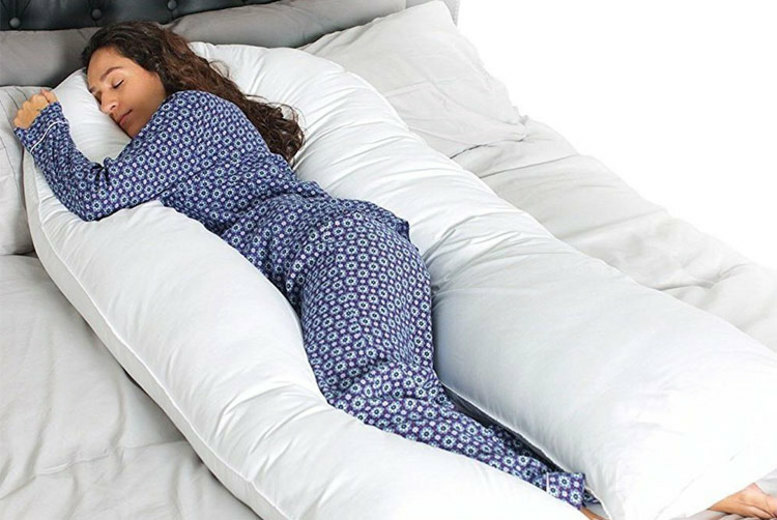 Snuggle up to this giant 12ft U-shaped pillow! Cocoons your whole body in a comforting position. Filled with bounce-back hollow-fibre and with a soft poly-cotton outer. Ideal for people who suffer from back or joint pain. Choose the pillow only, or upgrade to include a pillowcase in your choice of seven colours (see below).